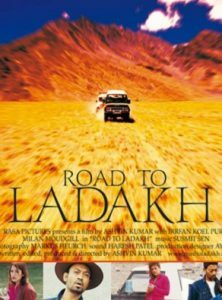 Chance brings together two travellers on the windswept roads of Ladakh, where India borders with China and Central Asia – one a highly-strung American reporter and the other an inscrutable jeep driver who has come up from the plains. Both feel lost amongst the mixed bag of the characters traversing the lonely landscape – shepherds, roadworkers, extreme sports enthusiasts, monks. And as events take a turn for the unexpected, the two are drawn closer out of the mutual need for tenderness and shelter.